Stitch and Pitch at the Applesox Game! Join fellow knitters for a fun night of peanuts, cracker jacks, baseball and of course....knitting. Please pre-purchase $6.00 tickets. 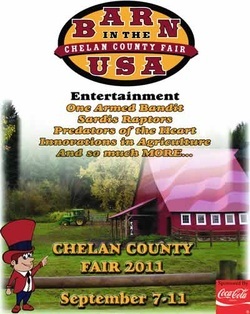 Contact Victoria Bosche for tickets 206-390-0033. The North Central Washington Knitters Guild member enjoyed a fun time getting up close to the beautiful alpacas at Shadow Ridge Alpacas Ranch. The North Central Washington Knitters Guild will participate in the nationwide “I Love Yarn” Day at Pybus Market on Friday, October 11 from 4:00pm - 7:00pm. Come meet the local experts on knitting. In the concourse, only at Pybus Market. If you are knitter or crocheter and love yarn as much as we do, come on down and join us. We will have a booth set at the quilt show to share our love of knitting and to promote membership. If you are knitter or crocheter and love yarn as much as we do, come on down and visit us. 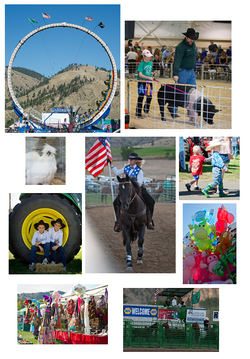 Guild members will once again share their talents and wears at the fair. Come and see us in the Home Economics building. We welcome new members and look forward to seeing the submissions of our wonderful talent in the valley. If you are interesting in Exhibiting your wears or one of kind creation, the date is September 3th from 9:00am - 8:00pm in the Home Economics building. 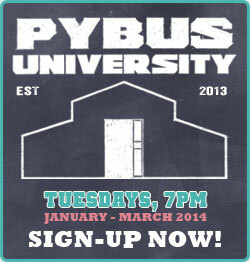 Join us the 3rd Tuesday of every month at Pybus. Bring your knitting project and enjoy a couple hours of social knitting in Wenatchee's great Pybus Market. you'll find us in the center where the lighting is best! The North Central Washington Knitters Guild will participate in the nationwide “I Love Yarn” Day at Pybus Market on Friday, October 11 from 9:00am to 4:00pm. Come meet the local experts on knitting. In the concourse, only at Pybus Market. If you are knitter or crocheter and love yarn as much as we do, come on down and join us. If you would like to come and knit please do so, we welcome new members. If you are interesting in Exhibiting your wears or one of kind creation, the date is September 4th from 9:00am - 8:00pm in the Home Economics building. Join fellow knitters for a fun night of peanuts, cracker jacks, baseball and of course....knitting. 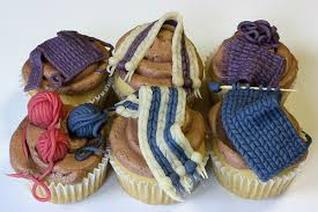 Guild members will share their talents and be chatting up knitting at the fair. Come and see us in the Home Economics building. We welcome new members and look forward to seeing the submissions of our wonderful talent in the valley. If you would like to come and knit please do, we welcome new members. 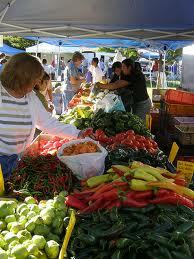 Guild Members are Welcomed at the Wenatchee Farmer's Market for National Knit In Public day. We got our knit on, chatted and welcomed new members. A fun time!